Nick's Nature Notes: Spurge-laurel - a healthy pungent purge or scourge? 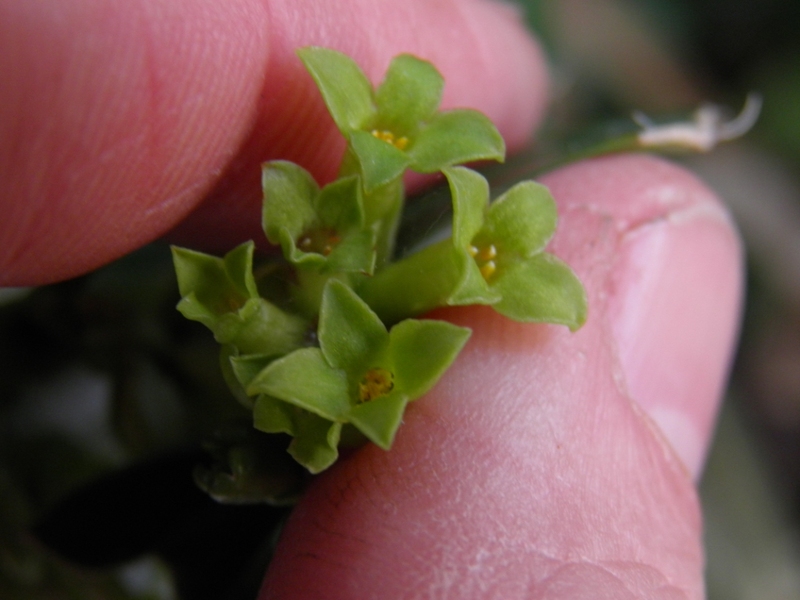 Spurge-laurel - a healthy pungent purge or scourge? Very few plants put energy into flowering in the winter due to the cold and lack of sunshine and pollinators. There are some obvious exceptions such as Snowdrops and Winter Aconites. Less obvious is the evergreen shrub, Spurge-laurel (Daphne laureola) which I spotted inadvertently last week in one of our local hedgerows. The origin of the Latin name Daphne apparently comes from the water nymph whom the Gods turned into a laurel-bush to hide from the advances of Apollo (SAPS, 2012). Well in keeping with concealment you would be forgiven for not spotting its flowers, with petals absent and small camouflaged yellow-green sepals. 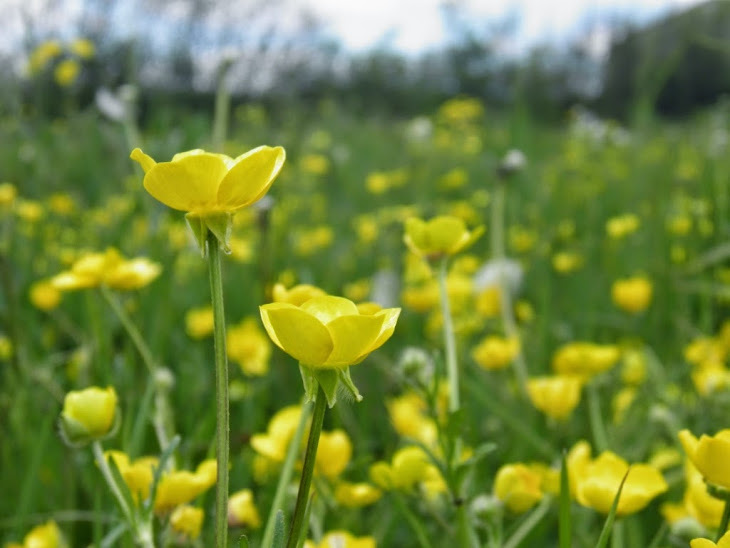 The plant flowers appear from January, a welcome source of nectar for early emergent moths and bees attracted by their strong scent rather than visual cues. But don’t let the sweet fragrance fool you – all parts of a Spurge-laurel plant are poisonous to humans, particularly the bark and berries. It can cause stomach pain, nausea, vomiting, bloody diarrhoea, delirium, collapse and death; even external contact between plant and skin can cause blistering. (Eland, 2012). Some tribes in northern Africa still use a bark extract to poison fish (Eland, 2012). This all serves a useful service for the Spurge-Laurel, as its production of powerful toxic compounds such as coumarin results in a “well defended plant” with very few animals able to eat it (Alonso, 2009). In modern times opinion of Spurge-laurel very much leans towards Mr Johnson’s – well at least botanically rather than his gender insinuations. Johnson, C. (1856) British Poisonous Plants. London: Taylor & Francis. I hoped you washed your hands after touching the spurge - It sounds deadly! Not immediately - actually I did feel unwell at the weekend!